Nothing about Airsoft is easy or even intuitive, at least to beginners, novices, or people just looking to get into airsoft. Some brands make guns with good externals but cheap internals; some airsoft brands are vice versa. Some brands are just American or British resellers for guns coming overseas, and you would never know if you didn’t have insider knowledge or did your research – the resellers stamp their own brands on the guns, passing them off as their own. So what are the most trusted airsoft gun brands that the pros rely on? Here is a list of what Airsoft Gun Guy considers the most reputable airsoft gun manufacturers. These brands make guns that last and won’t crap out on you in the middle of a firefight within a month of your purchase. Editor’s Note: We are assuming if you’re reading this list that you don’t have $500 or $1500 to spend on a stock rifle, so we have left Real Sword and Systema off the list, respectively. We know they’re the Ferrari and Lamborghini of Airsoft gun manufacturers, but we’ve got to be realistic here. Tokyo Marui is one of the oldest, if not the oldest airsoft gun manufacturers, and you can see their innovations and inventions in all airsoft guns these days. Tokyo Marui’s FAMAS F1 was the first AEG ever made. They invented the hop-up system. Airsoft guns that aren’t “Tokyo Marui compatible” are considered disadvantageous; this is the closest thing to the gold standard of compatibility, as non-Tokyo Marui compatible guns will be difficult to find replacement or custom parts for, especially magazines. 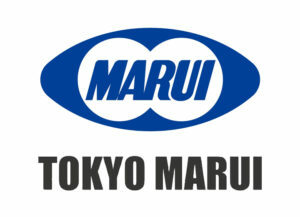 Tokyo Marui is, of course, Japanese, which unfortunately gives them some disadvantages on the international airsoft market due to Japanese airsoft laws. They must use ABS plastic receivers, which means their guns are not officially “full metal” – a designation sought after by airsoft players looking for the highest quality, most authentic-looking guns to their real firearm counterparts. However, experienced players know that, while expensive, Tokyo Marui guns are the longest lasting and most reliable, and they make some of the best airsoft rifles on the market. ICS is a reputable airsoft gun manufacturer, trusted by both airsoft veteran players and stores. Even ICS’s reseller guns, like Sportline, are durable and hardy despite their budget-friendly price tag. Classic Army, another one of the “Big 3” Airsoft brands, and another manufacturer from Asia (in Classic Army’s case, Hong Kong), CA is known for their fully metal, very authentic-looking guns. They are one of the top AEG manufacturers on the market, and put an incredible amount of detail in their guns like the M4s, M16s, AK47s and AK74s, and MP5s. They have had some criticism in the last year for quality control issues and less reliable internals, so if you do decide to go with a Classic Army AEG, do a little research into the model you’re purchasing first. G&G rifles are known for their performance, reliability, and power right out of the box, which makes them a great choice for newer airsoft players without the money or experience to mod their guns. Where other guns need to be upgraded with custom parts to achieve this level of performance, newer G&G guns come stock with tight bore barrels and performance V2 gearboxes. The G&G Combat Machine 16 Raider is one of the most popular airsoft rifles on the market, shooting at 300 fps right out of the box, and you’ll usually see at least a few on any airsoft field. Like CA, G&G has come under criticism recently for poorer quality internals, with some charging that a G&G gun will not last as long as they used to. 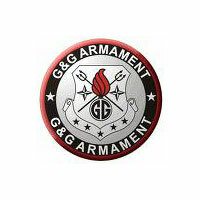 Also, G&G is known for their guns, not for their accessories, and we’ll just leave it at that. Krytac is one of the newest and brightest stars on the Airsoft gun market right now. Their guns are a bit pricier than some of the others on our list, especially my favorite, the Krytac Kriss Vector AEG, but they are all really impressive (which is why they consistently make our “top airsoft guns” lists). Krytac rifles shoot crazy fast right out of the box. 340FPS – 400FPS right out of the wrapper is not uncommon. They also all come with integrated MOSFET systems, which stabilize your rate of fire, and preserve the contacts inside the rifle. I have yet to see a Krytac gun that didn’t come with a pre-upgraded stock and sight. 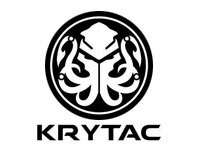 Krytac rifles are so reliable and upgradeable that Umbrella Armory, a top of the line airsoft company that sells guns pre-upgraded to the teeth, or to custom specifications, deals only with Krytac.